Today I am sharing with you a recipe for a Light Ladies Facial Cream. I feel as if the skin on my face is always changing. One week I will be so dry I’m peeling and the next week I feel like I got slapped in the face with a whole pizza. So when people ask, “What skin type do you have? Oily? Dry?” Agh! I don’t know, it depends on the day. I know that everyone’s skin is different so I tried to formulate a cream that could be used on a variety of skin types. 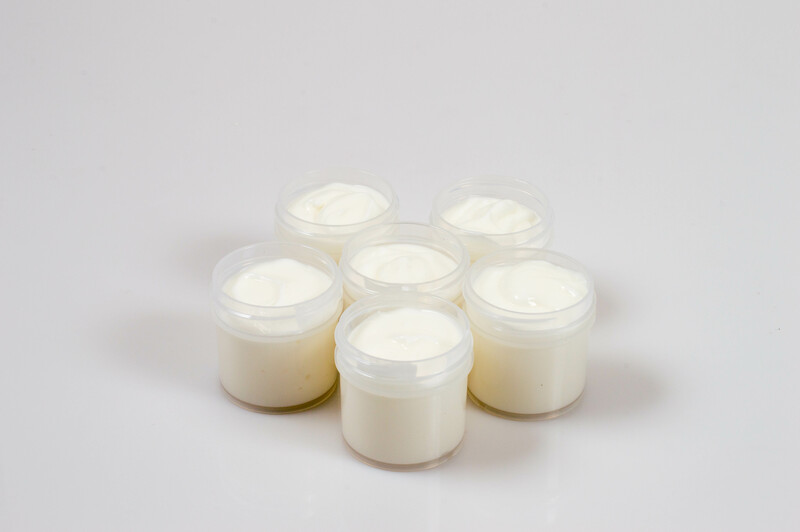 In order to make this lotion, first start by weighing everything except for extracts, preservative, and fragrance oil into a microwave safe container. Then microwave that combination until its completely melted. You can then add the extracts and fragrance oil, stir well. Once the lotion mixture cools below 120° F you can add the Liquid Germall Plus. Make sure to mix it well, you don’t want your preservative to fail because it will grow mold. Unfortunately I have had that happen before and it is not fun. Once your lotion has completely cooled, scoop the lotion into a bag and cut the corner off. You can then pipe the lotion into the jar of your choice. Label and enjoy! Wasn’t that simple? I whipped some up for New Year’s because: what says starting a new year with a beautifully hydrated face better than facial moisturizer? I love it! I have experienced skin, that runs dry and well Utah doesn’t help that at all. This is light but seems to be enough for even dry skin. Great recipe! Thank you! I am so glad to hear you like it. I think dry climates are a tough deal when it comes to skin care. Keep on moisturizing! You are a good reminder for me to do this when I get home.